The Newfoundland and Labrador Provincial Nominee Program (NLPNP) has been established to provide a quicker route to permanent residence in Newfoundland and Labrador for qualified persons and their families than traditional immigration routes. There are two categories of applicants who may be eligible for the program, qualified skilled workers and international graduates. Within the first category there is also an express entry option available. Persons who are accepted by the program will have their names put forward as "provincial nominees" by Newfoundland and Labrador authorities to Immigration, Refugees and Citizenship Canada (IRCC). 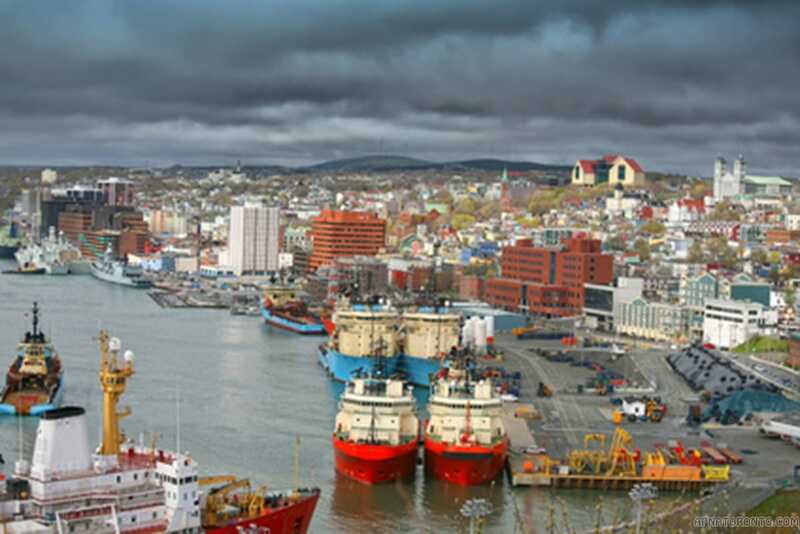 The final decision on permanent residency rests with the IRCC although obviously the backing of the Newfoundland and Labrador government is hugely influential. This category provides for those with particular skills that are deemed highly desirable for Newfoundland and Labrador employers. To be eligible for this category, the applicant must be in receipt of a full-time job offer from a Newfoundland and Labrador employer or already be working for one. The job/job offer must offer remuneration consistent with normal practice in the province. The job/job offer must not go against any collective bargaining agreement the employer has entered into, nor should it in any way be part of an employment dispute. The employer must prove that there is a need for the applicant's particular skills in the company offering employment. The applicant should have a valid IRCC work permit or have no reason one should not be granted. S/he should also be able to prove that s/he has a genuine intention permanently to settle in Newfoundland and Labrador and that s/he has adequate financial resources both for her/himself and for any dependents. The applicant must further prove that s/he has English and/or French language skills of a level of proficiency that will enable him/her to carry out the job that has been offered. Proof of this can come from an affidavit from the participating employer or from certificates, diplomas etc from education or training courses. The IRCC maintains a "pool" of Express Entry candidates for Canadian permanent residency. You must have applied to and been accepted by the IRCC before you can be considered for Express Entry via the NLPNP program. Once you have been accepted you will be given an Express Entry Profile Number made up of nine digits preceded by the letter E. Applicants via this route may be living outside Canada and must have been offered, or already be working in, a high skilled job for a Newfoundland and Labrador employer (the definition of high skilled can be found here: http://noc.esdc.gc.ca/). The employer offering a job to the applicant must prove that they have tried and failed to attract a suitable Canadian citizen or permanent resident for the post. Applicants must also score 67 points or more on the assessment grid, which awards points based on education and training, skilled work experience, language ability, age and connection to labour market and adaptability (i.e. evidence of genuine connection to Newfoundland and Labrador and desire to settle there permanently to live and work). The assessment grid can be found here: http://www.nlpnp.ca/pdf/AnnexA_PNP.pdf . Additional requirements are that the applicant should have a valid IRCC work permit or have no reason one could not be granted, that s/he should have a post secondary education degree or diploma from a Canadian institution or an equivalent degree from a foreign institution, that s/he should satisfy the authorities that s/he genuinely intends to take up permanent residence in Newfoundland and Labrador and has adequate financial resources to do so for both themselves and any dependents, and finally that s/he must provide proof via test results that her/his language skills are of the level of proficiency claimed by the applicant. This category is for students who wish to apply for Canadian permanent residency and who have successfully completed a diploma or degree from a recognised Canadian educational institution. In order to be eligible in this category the applicant must have graduated from a recognised publicly funded Canadian university or college at which they studied for at least half of their course. The diploma or degree course must have taken a minimum of two years of full-time study, although single year postgraduate programs leading on from a qualification obtained abroad (for example a Master's degree) may also qualify. The applicant must be legally permitted to work in Canada, having been granted an IRCC Postgraduate Work Permit that has at least six months validity remaining. The applicant must also be able to demonstrate that they are fully qualified and have the necessary skills for the job that they have been offered. The applicant should be able to prove satisfactorily that they genuinely intend to settle permanently in the province and that they have adequate finances to set themselves and their dependents (if any) up in the province. The job that has been offered or which the applicant already has must offer prospects for promotion and the salary must be equivalent to the going rate for similar employment in Newfoundland and Labrador. The job or job offer must not be part of an ongoing employment dispute nor should it breach any collective-bargaining agreements. The applicant must demonstrate a proficiency in English and/or French that is adequate for the job offered. This can be shown by an affidavit from the employer offering work or from certificates, diplomas etc from education or training courses. In addition to the disqualifications listed above, a person is not eligible for the International Graduate category if the studies that s/he undertook in Canada were sponsored by their home government with an expectation that the student would return to their country of origin on completion of their studies. An application will also be rejected if the applicant or any dependent family members (even if they are not going to live with you) has a serious medical condition.